Apple took to the newly-built Steve Jobs Theatre in Apple Park in Cupertino to unveil three new iPhone models including the ‘futuristic’ iPhone X, which the company believes to be the future of smartphone technology. Apple also unveiled a new Apple Watch Series 3, now with LTE functionality that further separates it from iPhones and allows it to take calls independently as well as stream music from Apple Music. A much anticipated Apple TV 4K model, along with 4K content partnerships, rounded up the announcements for the day. Kicking off with a nod to founder Steve Jobs, the keynote dove straight into how Apple is redefining its retail stores. Now called Town Squares. the new Apple Retail experiences will host more educational events as well as continue being the conduit between Apple and its customers. 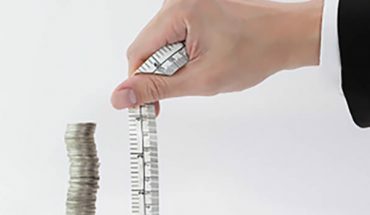 Apple Watch, which CEO Tim Cook stated was the, “no. 1 best-selling watch in the world,” even as no actual sales figures for the wearable have ever been disclosed, was next on stage. 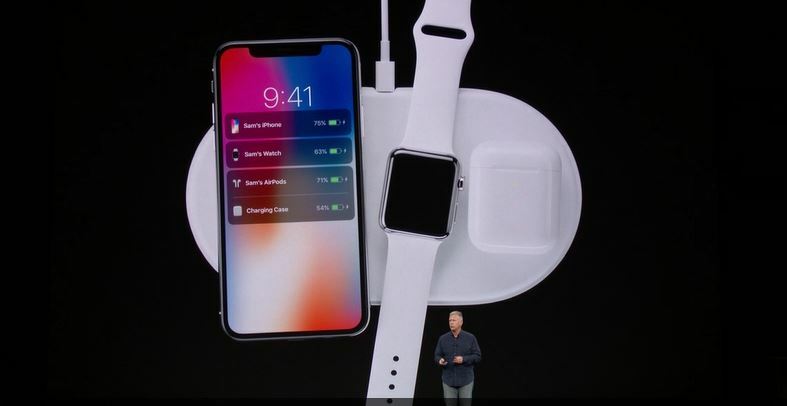 Apple’s Jeff Williams spoke about how Apple Watch was always intended to have LTE connectivity. Originally seen as an adjunct to the iPhone, the Apple Watch has since evolved in functionality as a fitness device and, in this next iteration, a replacement for the iPod music player since it will now be able to stream ’40 million songs’ for Apple Music streaming subscribers. When Apple first announced the original iPod, its catchphrase was ‘1,ooo songs in your pocket,’ through LTE technology and the cloud, it is now possible to access any song in your library right on your wrist. 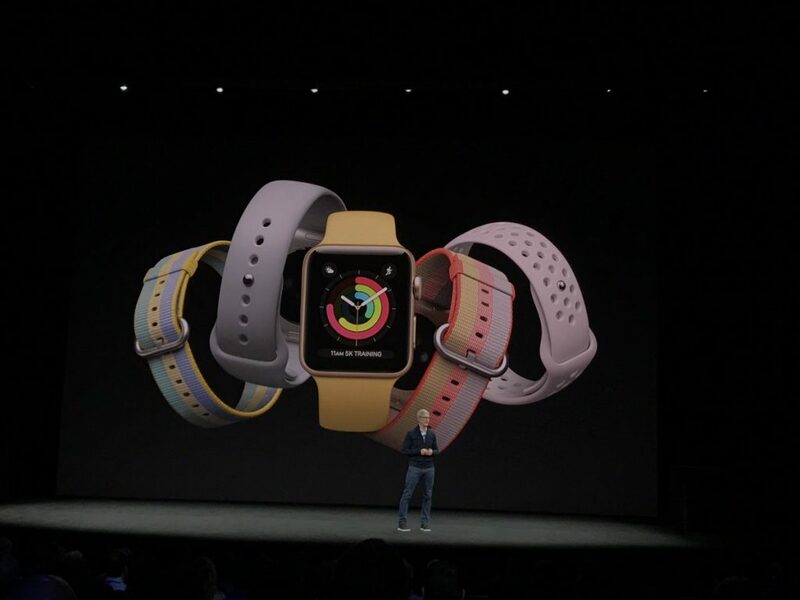 Apple Watch Series 3 (GPS + Cellular) starts at $519 (CAD) and Apple Watch Series 3 (GPS) starts at $429 (CAD), both featuring new upgrades like a faster dual-core processor and wireless chip, along with a barometric altimeter. Apple Watch Series 3 (GPS + Cellular) also debuts a special red Digital Crown and exclusive “Explorer” watch face that shows cellular connectivity through a unique design. Series 1 will be available at a new starting price of $329 (CAD), making it more affordable than ever. 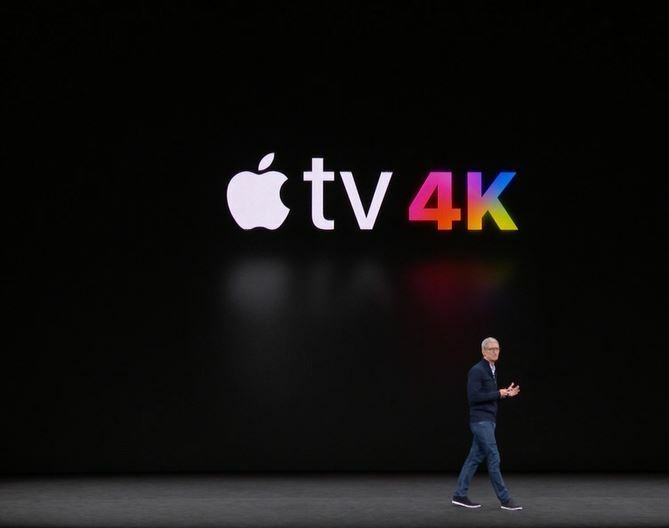 Apple also revealed the Apple TV 4K, an updated version of its set-top box. Apple TV was one of the first products to hit the market but has since been overtaken by rivals like Roku, Amazon Fire, Google Chromecast and others which have been offering 4K content to take advantage of today’s most modern HDTVs. Now with 4K and HDR capability as well as various content partnerships from the likes of Netflix and Amazon Prime Video, Apple TV 4K has truly caught up to market standards. Also catching up to market standards is the new iPhone 8 and iPhone 8 Plus, this year’s model iPhones now take wireless charging through the Qi standard which has been around for years (this writer first saw it on the Palm Pre from 2008). The key features of the iPhone 8 are improved cameras for AR (Augmented Reality) as well as a new in-phone photo editing features called Portrait Lighting which simulates photos shot in a studio by professional photographers. The big announcement, and one that has been leaked in various forums and forms (no thanks to Apple’s own iOS 11 firmware, which spilled the beans on the look as well as various features), was the iPhone X or iPhone Ten. 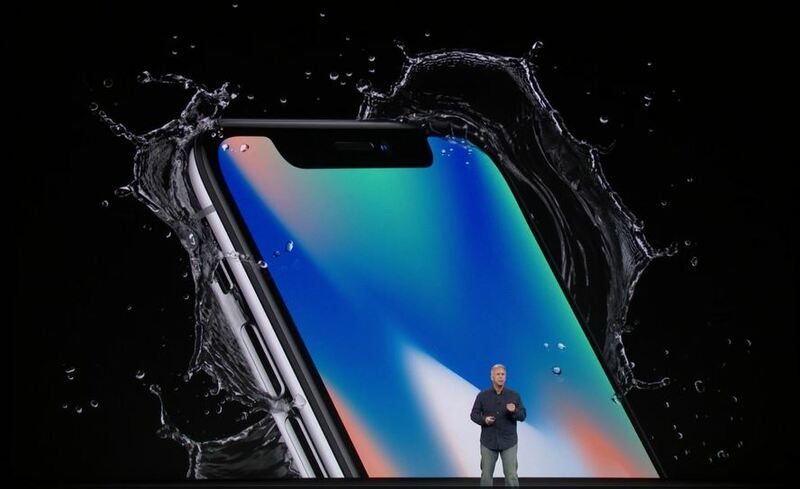 Using a new OLED display with an edge-to-edge display, iPhone X is the culmination of 10 years of Apple innovation in the segment it defined. 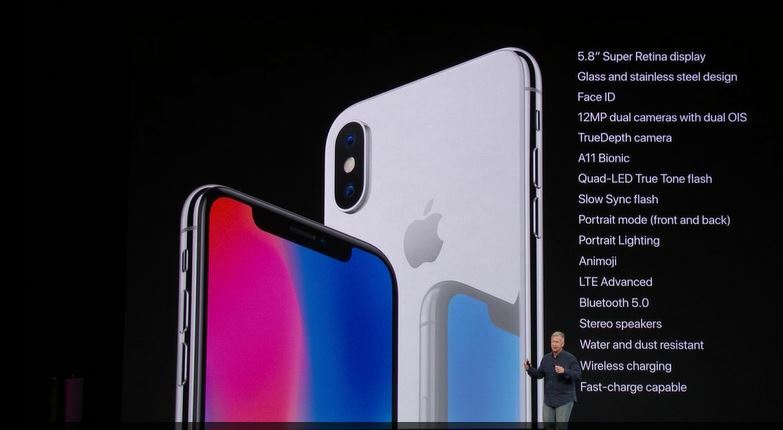 iPhone X meets competitors like the LG G6, Samsung Galaxy Note8, and S8 as well as the Essential Phone by offering a similar edge-to-edge display and an all new OLED panel. Because of the new display and the difficulty of integrating a fingerprint Touch ID sensor, Apple introduced Face ID, a way to unlock the iPhone X and make Apple Pay payments securely. Facial recognition has been around almost as long as wireless charging but it has been awful. Windows Hello on Windows devices as well as Samsung’s own implementation left a lot to be desired. Apple says its solution is far better and can replace fingerprint readers. 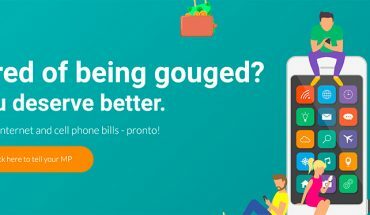 For consumers who are just getting started in trusting mobile phone to pay and have slowly adopted fingerprint solutions, switching to Face ID might be another hurdle. 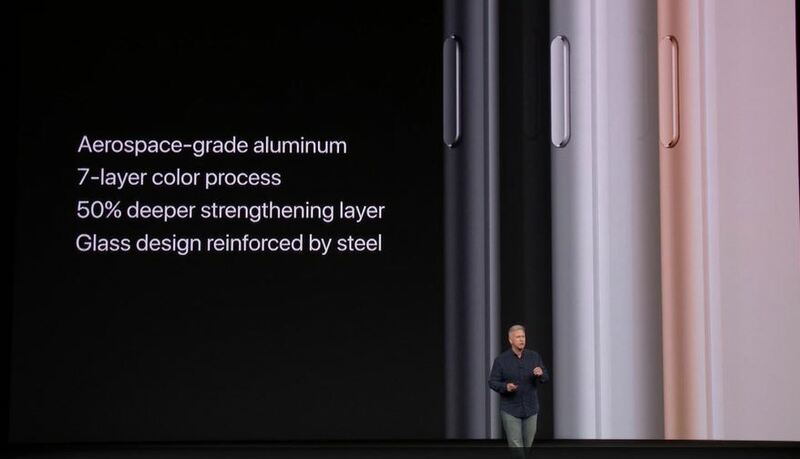 iPhone X comes in silver and space grey colours with 64GB and 256GB variants starting at $1319,00 CAD, making this the most expensive smartphone Apple has shipped. Pre-orders start on Friday October 27 for a November 3 launch.